I always tell people that the best part of my job as a writer is talking to people whose work I admire about the work I admire. There’s no better example of that than Stanley Kramer. Today being what would’ve been his 102nd birthday, I think it the perfect time to re-share the interview I did with him a while back. He agreed to meet with me in November 1994 at the legendary Sportsman’s Lodge. 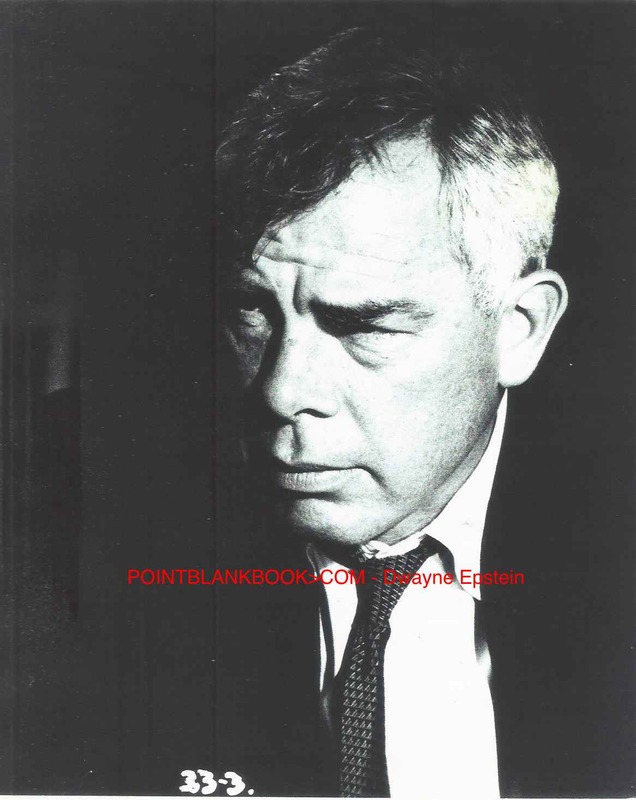 The interview was, of course for Lee Marvin Point Blank so consequently, Marvin was the main topic of conversation. Most of Kramer’s thoughts on Marvin went into my book but the opportunity to speak with the pioneering producer/director naturally bled into other topics. That which didn’t go into the book is presented here for the first time. Sadly, he passed away in 2001 (on Lee Marvin’s birthday!) and what survives here are the opinions, anecdotes and cantankerous musings of a filmmaker whose value can never be overestimated. Pvt. Carter (Arthur Franz, seated), Sgt. 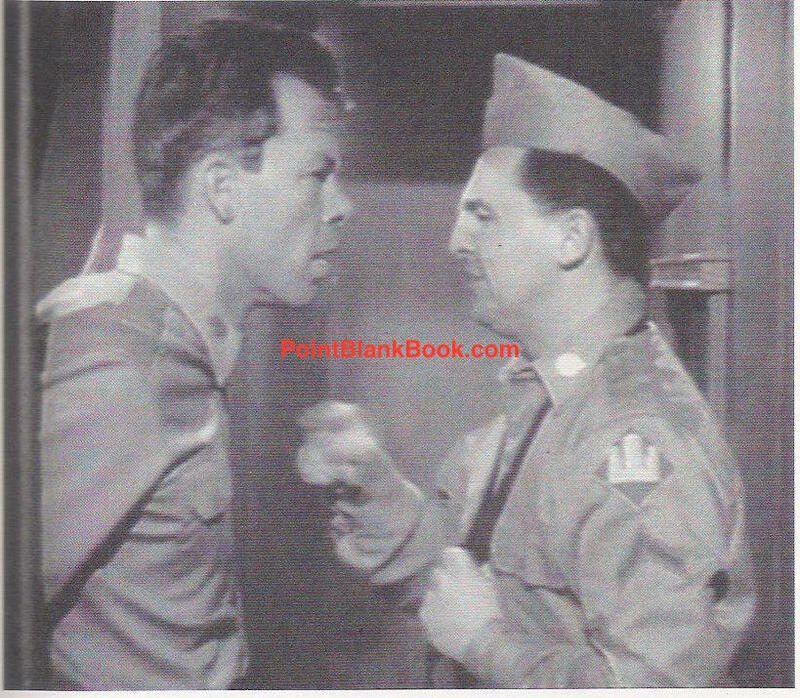 Mooney (Lee Marvin) and Pvt. 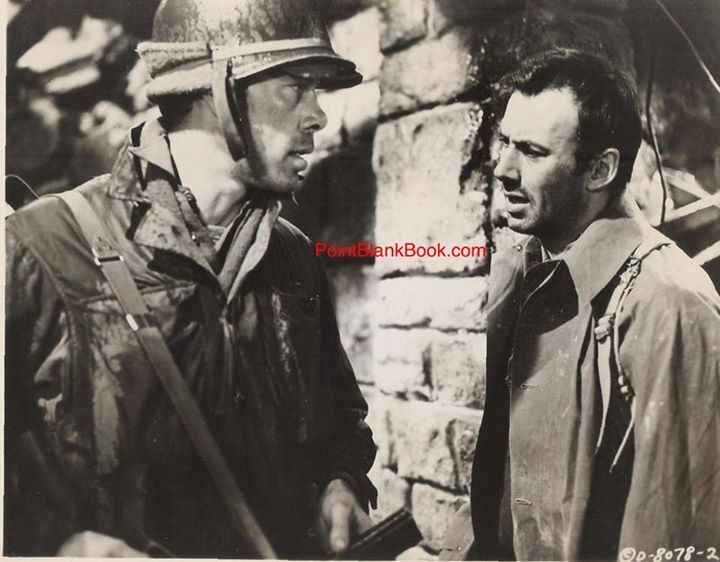 Coke (Richard Kiley) decide to rescue a fallen buddy against orders in producer STanley Kramer’s EIGHT IRON MEN. 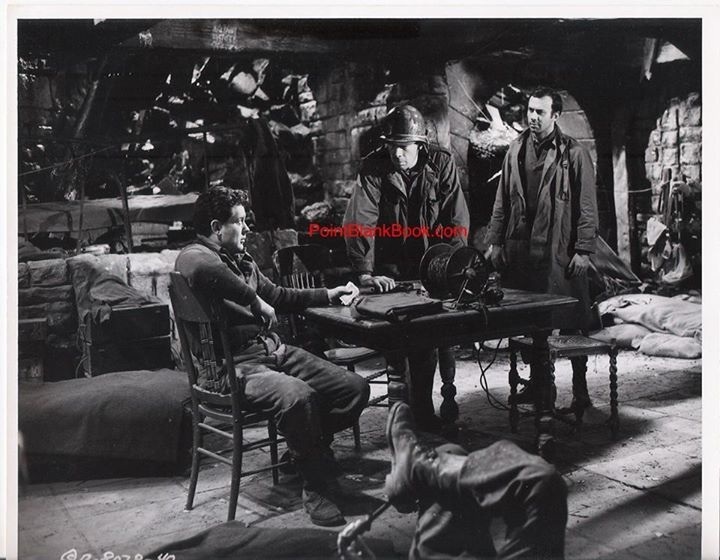 Lee Marvin, in his first leading role, opposite RIchard Kiley in producer Stanley Kramer’s taut WWII drama, EIGHT IRON MEN. The working title, believe it or not, was THE DIRTY DOZEN (!). 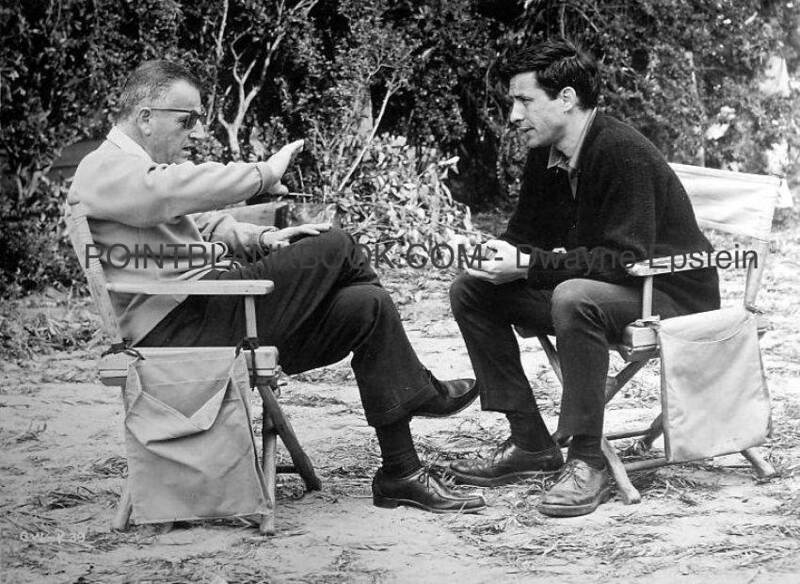 Producer Stanley Kramer making a point to director John Cassavetes on the set of A CHILD IS WAITING. The look on Cassavetes’ face betrays the looming storm. S: He wasn’t crazy about the experience because of me, probably. We had difficulties. He was a talented fellow. Otherwise, I wouldn’t have put him in the job. But I had a self-centered idea about films. There can only be one dominant and you can’t do it by conference, by agreement. One guy has the concept and the driving force. That’s what I always felt to be true, anyhow. Cassavetes was young, unregimented, not accustomed to listening, and I was in his ear a lot. It was a project I would have done. I was busy on something else. The reason I didn’t direct it is I made the project go up to that point but it was the kind of subject most people wouldn’t be interested in, anyhow. We used a lot of people from the hospital. 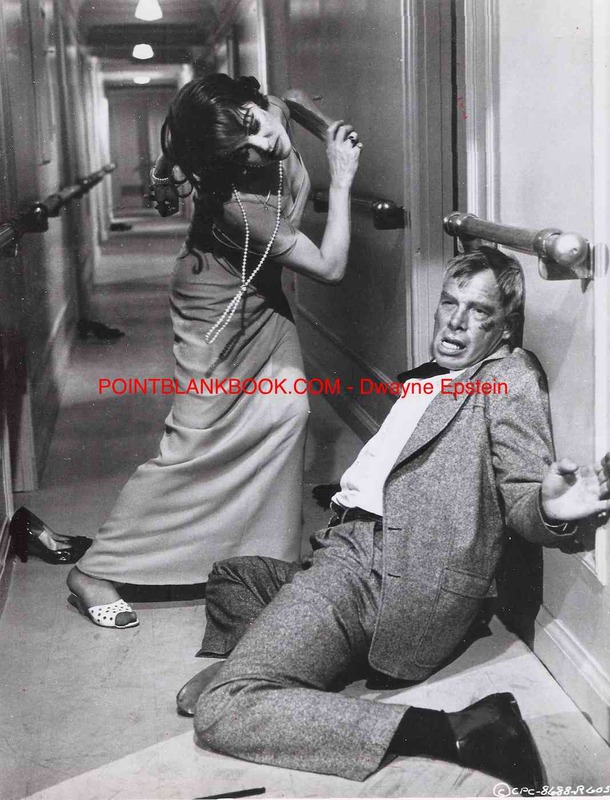 The climatic ‘shoe fight’ in SHIP OF FOOLS in which Vivien Leigh beats Lee Marvin for misaking her for a prostitute. Marvin kept the shoe as a treasured memento. A disheveled Lee Marvin as ex-ballplayer Bill Tenney in director Stanley Kramer’s SHIP OF FOOLS. 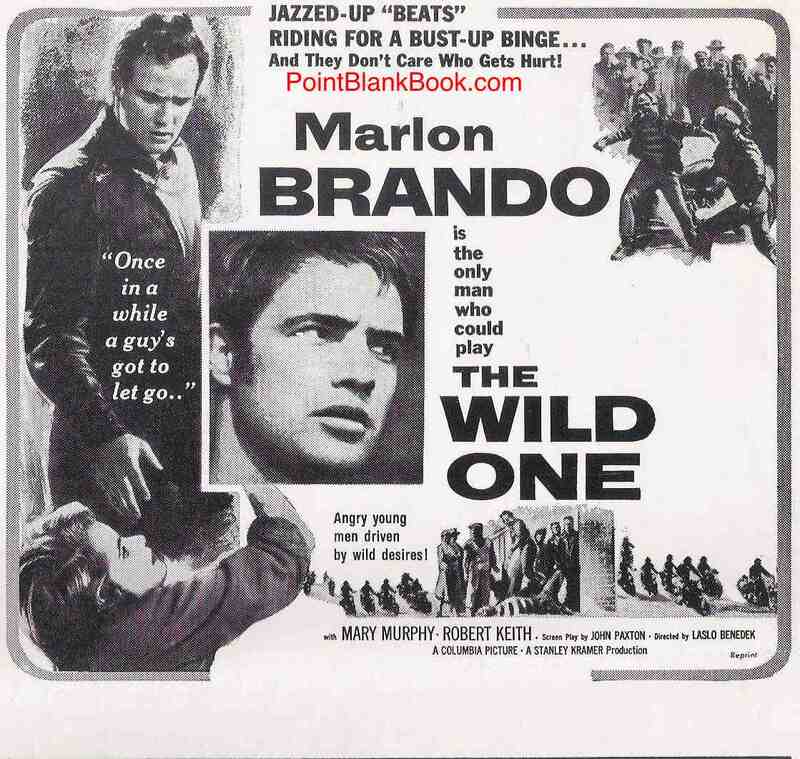 With The Wild One airing this Friday on TCM, it seems like a good excuse to post on this blog some previously unpublished thoughts. 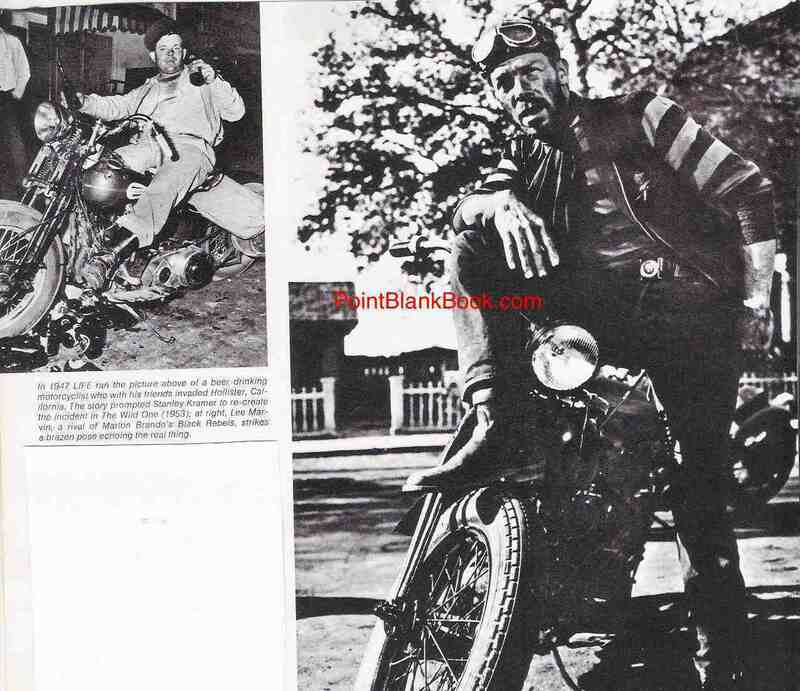 Readers of Lee Marvin: Point Blank are already familiar with Lee Marvin’s thoughts on the role; producer Stanley Kramer’s thoughts on the film’s controversy; the headache of working with Brando AND Marvin and most interesting of all, what the actual bikers depicted in the film thought of Lee Marvin’s performance. 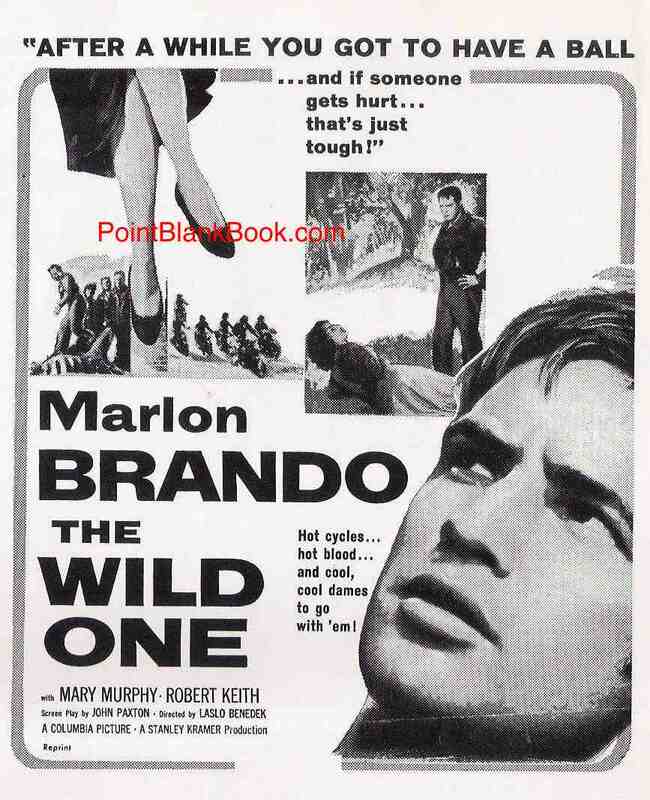 Original ad for The Wild One in which 4th billed Lee Marvin is shown (barely) but not mentioned. The film has indeed held up fairly well over the years, thanks in large part to Marvin’s performance. 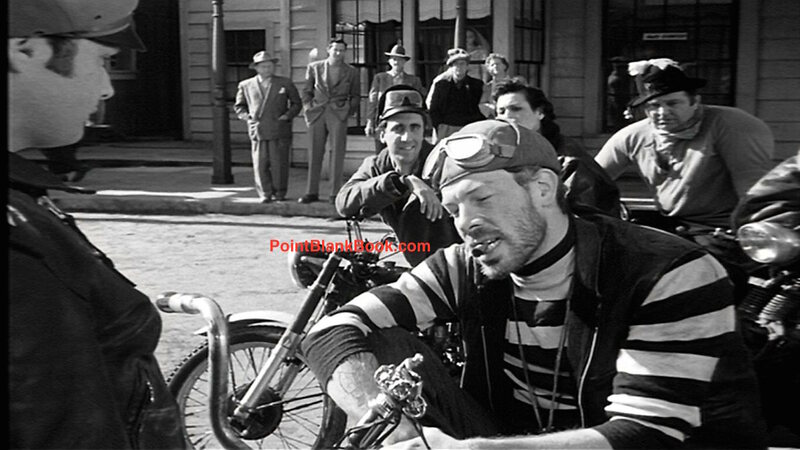 It’s legacy has become even greater thanks to the influence it has had creating the genre of biker films, the emulation by Hell’s Angels founder Sonny Barger, and a strange effect it had a young British musical group that would become the most famous rock band of all time. Another ad campaign for the film, with some actual dialog (“After a while you got to have a ball”) and some dialog that makes no sense at all (“And if Someone gets hurt that’s just tough!”). Oh, and exactly what is Brando supposed to be looking at? Lee’s first wife, Betty, was one of my earliest and most influential interviews and her observations and experiences were amazing. Below, are a few previously unpublished thoughts on her ex-husband and his then co worker, Marlon Brando from 1995….. 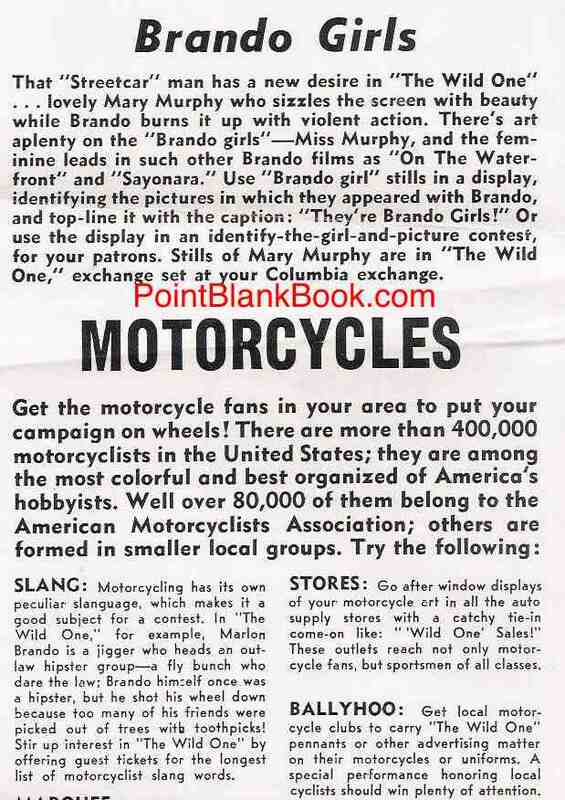 In the re-release pressbook for The Wild One, some publicity ideas (above) offer a way to ballyhoo the film locally. Betty: I found similarities in what Brando was saying about acting and what Lee felt. I know the time we spent together, Brando, Lee and I, I would be hearing them, they were very much in accord. Personally, there was also a mutual respect there. Dwayne: I heard, depending on who you talked to, they either showed respect for each other or they didn’t like each other, there was a rivalry. Betty: Brando lived next door to us. When they did The Wild One, he was our son’s babysitter. We were together all the time. Brando taught me to play bongos on the peanut butter jars. We did things together. They were different in some ways in that Brando, compared to Lee, was very childlike. Brando was the one who would make Lee laugh. He’d tell me that they would drive to the studio and he’d tell me later, “Do you know Bud was trying to pick up a girl at the red light?” He was like a kid, flirting. Dwayne: He’s still like that. Did you see him on Larry King? Betty: I liked him on Larry King because I liked his honesty. I also think he’s very bright. He’s precocious. He’s very bright and..
Betty: Oh he always did. Dwayne: In the The Wild One, I think Lee was one of the few actors who wasn’t blown off the screen by Brando. Betty: Not at all…..You just saw that adrenalin pumping. Also, They were both young actors, but Lee had a maturity that Brando didn’t have yet. Brando was kind of a kid next to Lee. Lee was like the adult in that gang. Remember, he was like the older guy. 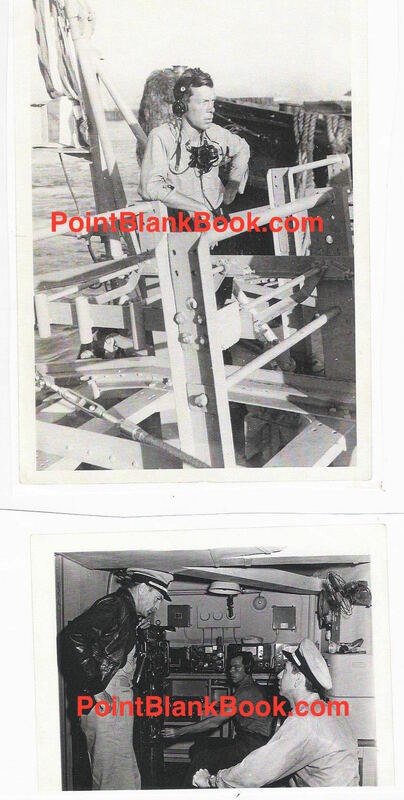 Dwayne: A lot of critics felt he was to old for the part..
From the book LIFE GOES TO THE MOVIES, the image above depicts how Lee Marvin’s character of Chino came from the actual events in Hollister, Calif. back in 1947, despite the critics at the time saying Marvin was too old for the part.